Why make a homemade vegan Nutella? Have you caught yourself reading labels endlessly on all the chocolate hazelnut and peanut butter spreads hoping one of them is dairy-free and vegan? Many a vegan has encountered the dilemma of the lack of vegan chocolate hazelnut spread options and many vegans stay up at night dreaming of a vegan Nutella. But, the good news is, it's super easy to make your own homemade chocolate hazelnut spread using just a few simple ingredients. 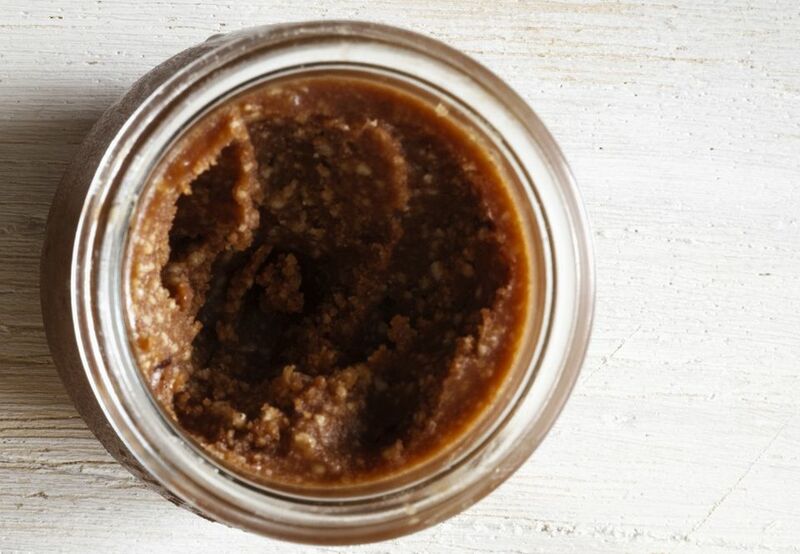 If you can't find hazelnuts, walnuts or cashews will work, and your homemade vegan Nutella will still be quite delicious, but it won't taste quite like real Nutella. Another recipe tip: You'll need a very strong blender or food processor in this recipe in order to make the hazelnuts turn into butter. If your blender doesn't seem quite strong enough, give it a little bit of patience (it may take longer than you would think) and then just do the best you can. If you need a suggestion for what to do with your homemade vegan Nutella (other than just eating it with a spoon or enjoying it on some vegan ice cream), try spreading it on a vegan crepe with some bananas (or any kind of fruit, really) for a breakfast or brunch treat. If you really want a treat, try swapping out a tablespoon or two of the regular vegetable oil and replacing it with a rich flavored oil, such as walnut oil or coconut oil for a bit of extra decadence in this recipe. And don't forget to lick your spoons! First, you need to pulverize the hazelnuts to make a hazelnut butter. Using a food processor, grind the hazelnuts until fine and powdery. Process for another minute or two. If your food processor is strong enough, the hazelnuts will eventually turn creamy and smooth. If you're using a less powerful food processor, this may not happen, so just get the mixture as fine as you can, then let it rest a minute, and process again for one more minute. Be patient, though, before you give up! Once your hazelnuts are smooth and creamy, or as good as they are going to get, add in the remaining ingredients and process again until the mixture is smooth and creamy, adding a little bit more or less liquid to get your desired consistency. Enjoy your homemade chocolate hazelnut spread! What to do with your homemade Nutella? Besides spreading it on toast or sticking it inside a vegan crepe, you can add a bit to your hot breakfast cereal (a little something like this peanut butter chocolate quinoa bowl).